If you like this ezine, please do a friend and me a big favor and "pay it forward." If a friend DID forward this to you and if you like what you read, click here to subscribe to Lumina. Q&A with Helen - In The Beginning Was...What? Creative Corner - Why Are We Here? From Spiritual Encyclopedia's Spiritual Poems. For a sizable portion of the world's population, it's traditional vacation season. Time to relax, unwind, and kick back with a good book. Or perhaps time to travel to distant lands...and read a new book on the way. Whatever your vacationing style, I guarantee there's something in the Spiritual Encyclopedia Bookstore, powered by Amazon.com, that will enhance your experience. I particularly recommend the Pocket Guides to Practical Spirituality from Summit University Press. They're small and light so they're perfect to take travelling, and there's one for every spiritual topic you might be interested in. If you'd like help deciding which is best for you, just drop me a line. If you have a spiritual-themed question, simply hop on over to my page at AllExperts.com and click on 'Ask a Question'. I'll be happy to help. Please note that I will be on vacation until July 18th. Hello Helen. Recently my dad, sister, and I got into a discussion about God and how the earth was created and so on and so forth. A question that came to mind was, if biology tells us that the earth began 4.6 billion years ago, and at that time people did not exist, then how did Adam and Eve exist before anything else? I know this is a very controversial subject to talk about but I have always been curious about it. I am a Christian and I definitely believe in God but when people and I begin a conversation about everything that is tied in with God, then I too start to question the existence of God and everything else the Bible says. Hi Taylor, that is certainly a big question you have there and I needed to take some time to do a little research and consult with people to give you the best answer I can. The first thing to bear in mind is that no matter how adamant the scientists can seem, the theory of the "big bang" and evolution, etc. is literally that - just a theory. They have not been able to prove it. Below is a short extract from a book called "The Path of the Higher Self", by Mark L. Prophet and Elizabeth Clare Prophet (here it is on Amazon). It's written on a fairly advanced spiritual level so don't worry if some of it doesn't make sense, I think the general idea is clear. If you find it interesting you might want to seek out the book in your local library or bookstore to get an understanding of the bigger picture. These ideas may be quite new to you because it is not a Christian interpretation of the Bible. The Bible is not wrong but often it has to be interpreted on a level that is beyond what the literal words say. There is also a lot of teaching missing from the modern-day Bible. Kings and writers and various people through the ages have edited or cut out books of the Bible for their own purposes, so although a valuable resource, it is not a complete teaching any more. Your family and other Christians will probably disagree with the book extract, and that's ok. I'm just going to provide you with the teachings that I have been given and that make sense to me and you can decide what sits right with you. Neither me nor your parents can tell you what to believe - it's your right and your privilege to choose your own path in life, including spirituality. "Once 'Adam and Eve', archetypes of the common people, partook of the fruit of the tree of the knowledge of good and evil--under the influence of Lucifer himself, who is portrayed as "the serpent"--the departure from innocence through Original Sin spread throughout the Motherland. Now penetration of the veils of innocence was complete; the downward spiral was irrevocable. The long night of mankind's travail in the endless astral valleys of the synthetic consciousness began; and gradually the memory of earth's Golden Ages faded into the distant past. The subsequent coming of the laggards and their mechanical creations caused the consciousness of mankind to descend almost to subhuman levels, all because man departed from the innocence that he had when his consciousness was attuned solely to the Mind of God and His All-Seeing Eye. Modern biologists, anthropologists, and archaeologists trace man's history only as far back as this low point in the cosmic evolution; and then from incomplete data they draw the conclusion that he descended from the ape. Actually, the era of the caveman marked the depths of man's descent into duality, from which he is destined to rise to that oneness and high estate he knew as a son of God before his departure from innocence." So there you have it, a rather detailed answer for a rather large question! You might want to read the extract again if it seemed a bit complicated the first time. I hope you'll pursue more in spirituality if you feel called to do so. If you're interested in learning about the teachings of other world religions besides Christianity, you might enjoy the website Mystical Paths of the World's Religions. You also might be interested in the book "Reincarnation: The Missing Link in Christianity" by Elizabeth Clare Prophet (here it is on Amazon). If YOU have a spiritual story (true or fictional) or a spiritual poem or funny joke that you'd like to share, please send it in to lumina@spiritual-encyclopedia.com to be published in an upcoming issue of Lumina. Have you ever wondered what happens when we die? Or why we need angels? Or what the ascension really is? Life, Death and Beyond: The Ascended Masters' Perspective is a new 14-part phone seminar series, totally free (aside from any normal long distance phone charges). It's presented by Dr. Neroli Duffy who is a minister of Church Universal and Triumphant, an author of three published books and a genuinely lovely person. Sessions are open to all, and they run between 9:00pm and 10:30pm US Eastern time, on July 29, August 12, 19, 26, September 2, 9, October 7, 14, 21, 28, and November 4, 11, 18 and 25. Each session will cover different aspects of this fascinating and broad topic, so feel free to listen in for one or several sessions. There will be opportunities to have your questions answered. The number to call is 718-580-1800 and the access code is 53837. A participant on a previous phone series commented: "The conference call last night was so fabulous I didn't want it to end. Rev. Neroli has so much to say in such a digestible manner. This is exactly the type of information I have been praying for." "As a medical doctor in Australia, each time I was called to the bedside of someone who was passing on in the change called death, I marveled at the difference in the body from one moment to the next as the spirit was withdrawn. I wondered 'exactly what is it that dies?' Surely it was not the soul or the spirit. Later as a minister, present at the bedside in a different way, I appreciated the answers that I had found in the life changing teachings of the ascended masters. If we really knew that death is just the beginning and not the end of life and what we can expect when we get to the other side, then we might lead very different lives. Although Life, Death and Beyond is a serious subject, it is at the same time uplifting and empowering. 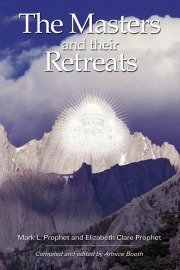 In this series of workshops we will cover in depth the unique perspective of the ascended masters on precisely what happens when we die, the levels of the heaven world and what takes place there, the description of the astral plane, why so many people get stuck there after death and what can be done about it, as well as all the more familiar topics such as the near death experience, the life review, and how we can all return to God in the ritual of the ascension. We will learn practical tools for how to work with the angels and nature spirits and how to do the spiritual work for someone who has passed on and may not yet be where they need to be. It explores why we need the help of the angels and why not everyone goes to heaven right away, with illustrations from some real life stories. More importantly when we realize that we are each a spiritual being with a physical body, we have lived before and we will live again, and the heaven world is more real than the one in which we are simply stopping over for three score and ten, then we can begin to lead a more conscious, loving and fulfilling life. For the big question at the end of life will not be 'what doctrine did you follow?' but 'how much did you love?' And in the end that’s what really counts. I look forward to joining you for this series of workshops on life, death and beyond so that we can dispel the fear and anxiety that often surrounds this subject, have some fun along the way and start looking at life the way the angels see it. In some ways we could simply call it 'From Here to Eternity.'" To browse handouts and recordings from Neroli's previous two series, Healing and Wholeness and The Divine Economy, click on this link. If you're a fan of Lumina and Spiritual Encyclopedia, click here to find out how you can keep the flow going! Copyright © 2007-2011 Summit Publications. All rights reserved. A Spoonful of Spiritual Quotes for words of spiritual encouragement delivered FREE to your inbox every week. Receive an instant gift when you subscribe!